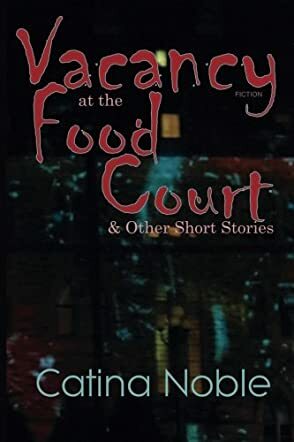 Vacancy at the Food Court & Other Short Stories by Catina Noble is a series of disturbing yet humorous tales of horror. Thirteen stories, each reaching deep into the psyche, each laying life wide open, bare to the bones. Romance, death, humor, suicide, every part of life is explored in an abstract way; unadulterated, complicated yet simple and poetic stories. Each story paints a picture; each story comes from a simple image that might mean nothing to you and me at first glance. Read this book and every image, every glimpse of life will take on new meaning. What seems trivial and unimportant becomes the focus of a story that leads the reader on an unforgettable journey. Vacancy at the Food Court & Other Short Stories by Catina Noble is intense and deep. Each story will mean something different to each different reader; some had me chuckling, but with others, a stray tear or two fell. Catina has covered just about every emotion known to us and possibly a few we didn’t know existed. This is abstract writing at its best, each story flowing naturally and making perfect sense. Catina has an excellent command of the written word; she knows how to use words to elicit emotion and feeling and to keep a reader hanging on to her every word. Even if you think this isn’t your kind of book, believe me when I say it's for everyone. Every reader will find at least one story that will resonate with them and you won't want to put this down.